Second in the series recorded as I hosted the Totally 80s tour across Australia in July, this show takes you from Perth via Adelaide to Hobart.We hear from excited fans as well as Terri Nunn (talking Giorgio Moroder), Paul Lekakis (giving lifestyle tips), Robyn Loau (taking you on a journey to the darker side of Adelaide) & Stacey Q.
Stacey Q had two huge worldwide hits in 1986 with Two of Hearts & We Connect. 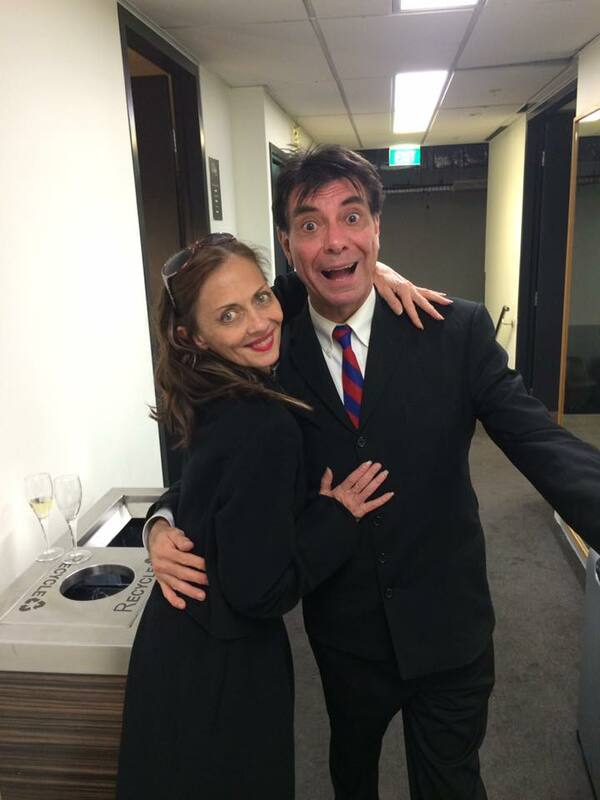 She was under an illness cloud for some of the tour and I managed to interview her in-between bouts of flu. Does it sound like we are having fun? 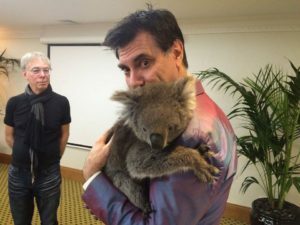 Maynard cuddles Honey the Koala while Dave Sterry waits his turn (with the Koala). Adelaide July 2016.